Hi lovelies, one thing I love about my son is he loves trying new thing and the taste comes second. I'm happy that he wants to try everything. My main point is always giving him the best and healthiest choice of food. Hoping that as he grew up; he knows to choose his food and drink wisely. Recently I bought fresh almond milk for him, before I try making something out of it. I let him try to drink it first in small amounts; towards my amazement he drank in one shot! Meaning he's totally okay with it. Add both ingredients in the blender and give it a good whisk. If you feel it's too thick you can add extra milk. We prefer a thicker way. Straight pours into the glass and enjoy. If you need it a little sweeter just add 2tbsp honey should be fine. I didn't add sugar or honey. Very healthy and good to start the morning with it. 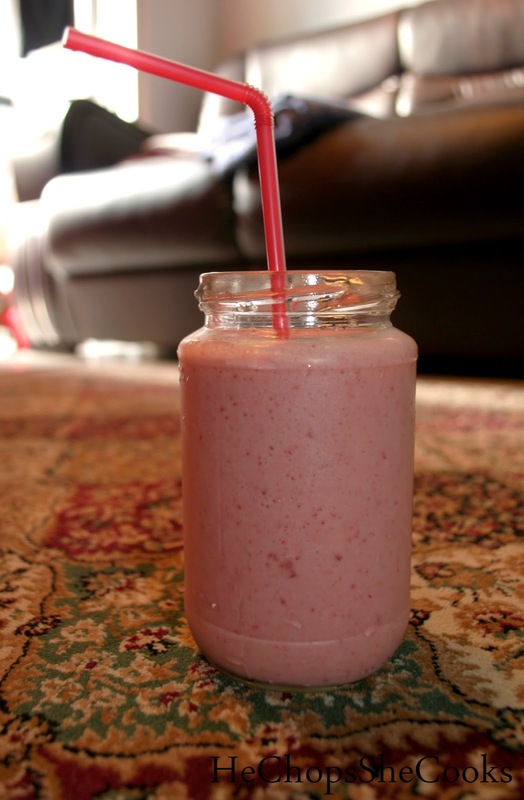 I can never say no to this delicious smoothie.. Loved that u have used almond milk to make it healthy..